Earlier this month, game developer and hardware manufacturer Nintendo revealed a new business partership with Western Digital, a company many tech consumers will be familiar with for its production and sale of various forms of SanDisk memory cards. 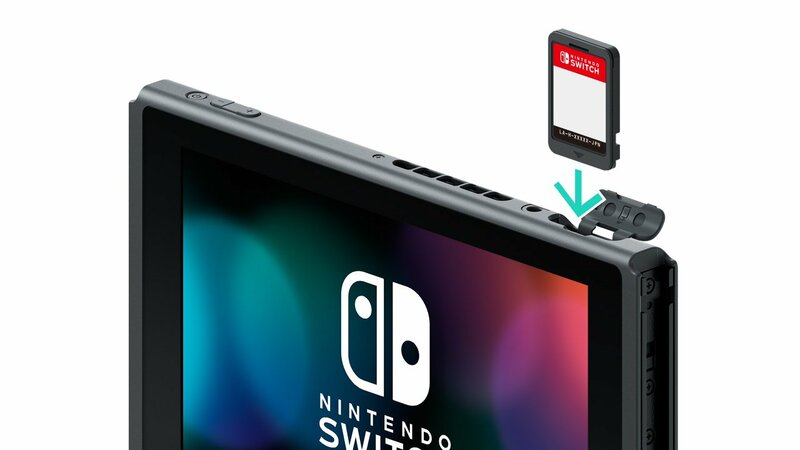 Along with this announcement, Nintendo also revealed that some Nintendo Switch games will require a MicroSD card in order to play the game, noting the requirement for "games that contain an especially large amount of content and require additional storage for players to enjoy the full experience." This business venture seems logical, given that Nintendo Switch game cartridges look and function identically to standard SD cards. There's a twist to this story, though: some games that require additional storage, like Nintendo's given example NBA2K18, are placed on game cartridges that feature less than the medium's possible maximum storage. In essence, this means publishers could be using game cartridges with less storage than needed and offsetting the cost of additional storage onto the customer. Clearly, this isn't going to go over well with Switch owners. Why Wouldn't Game Publishers Use High Capacity Switch Cartridges? This is the big question on players' minds. Nintendo's primary example for the need to buy additional Switch storage is NBA2K18, a game that presumably fits their description of a title that contains "an especially large amount of content." However, a PR representative for 2K Studios told TweakTown that NBA2K18 clocks in at 25 GB on the Nintendo Switch. It's true that 25GB of data is more than the Switch can fit in its internal storage with consideration to the device's OS and other software; however, 25GB is around 5GB less than the usable space inside the largest current Switch game cartridge, which clocks in at 32GB. In essence, this means publishers are choosing to use game cartridges that can hold less data than their game requires. Or, to put it another way, game publishers are saving money by requiring players to spend money on additional storage -- such as the MicroSD cards produced in collaboration between Nintendo and Western Digital, for instance. What Does This Mean For Consumers? Are These Games Unplayable Without Extra Storage? Given our current understanding of the situation, the notion of Switch games needing additional storage means that Switch owners will have little choice if they want to enjoy the games they've purchased. Word has it that players will still be able to enjoy "select portions of the game" without buying additional storage, meaning the additional purchase isn't truly necessary; however, most players expect to have full access to a game from the moment it's purchased, and locking further content behind yet another purchase is to be considered bad form, even if Nintendo has done it before. Games like NBA2K18 will basically require additional storage in order to function, which means that additional storage will be a requirement of the game. So, instead of a game costing $60 plus tax to enjoy, it may be that some players will have to cough up $100 or more in order to be able to access all of the game's content. To the company's credit, Nintendo has placed a reminder of the MicroSD card requirement onto the box art for NBA2K18, which should be enough to catch the attention of most consumers. However, some players will still likely be surprised by the requirement of additional storage. Fortunatley, those types of players should be able to find Switch-branded MicroSD cards on the same aisle as their favorite Switch games after the cards hit store shelves sometime this October. Has a love for Nintendo caused your bank account to run dry? Don't worry, there are plenty of low-cost and no-cost titles available for mobile platforms, and we've got our favorites featured on our list of the Best Free To Play Games.